Come out to King of Glory to learn more about MOPS! 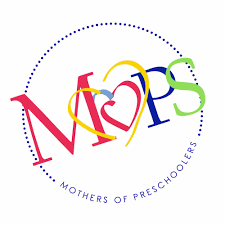 They are starting another MOPS group!!! King of Glory was home to a wonderful MOPs group a few years back and now it is time to let a new group of new moms experience the sisterhood and lifelong friendships a MOPs group can foster. Yes, they have childcare during the meetings. Yes, you make friends during those early months and years when early childhood can really wear you down and leave you feeling in need of support, and at the same time include the best moments you have ever experienced. Come check it out. You don’t have to know anyone. You don’t have to belong to King of Glory – or any church. You just have to be a mom of infants thru preschoolers. It is simple and so fun. Come on Thursday as KOG thru MOPS builds circles of women who love each other like family; because raising humans is beautiful and hard, and having each other to lean on is life-giving. That’s why we connect moms all over the world to a community of women, in their own cities, who meet together to laugh, cry, and embrace the journey of being a mom. Please RSVP or email questions to Michelle Clauberg m.clauberg@kogva.org – your name, your child’s name and age, and if you will be needing child care.